Is it okay to copy a photo when you are drawing? Should we regard copying photos to make your own artwork as cheating? I want to give you my opinion on this rather controversial subject of copying. There is some controversy in the art community about whether it is acceptable to copy images from photographs or other artwork to make your own drawings or paintings. I think that most artists would agree that copying from life (i.e. having the real object in front of you) is acceptable and even encouraged, however there is division in the community about whether copying a photo is the same or should be considered ‘cheating’. You may think that copying from life or copying a photo is the same thing, since the subject and image is the same and you are using the same powers of observation. So why is one considered ‘cheating’ while the other is considered normal? Is it okay to copy photos? Should we just be drawing from life or just our own imagination? What situations is using photos considered to be okay? 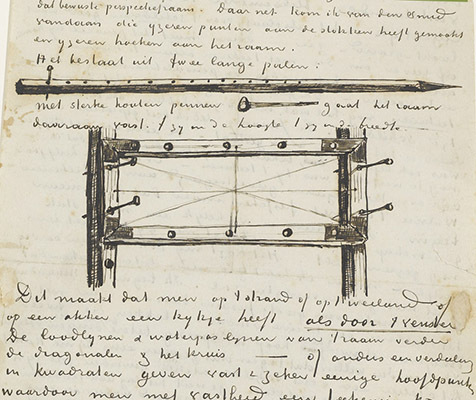 Some masters including Van Gogh used drawing aids to help work out perspective, why aren’t these considered to be ‘cheating’ just as much as copying from a photo? Before I give my opinion, lets have a look at why it is controversial to start with. I believe that the ultimate goal of an artist should be to create new ideas and/or represent objects in unique ways that is personal to the artist. Throughout history people have used drawings and paintings to capture stories or moments in time or realistic representations of people. The advent of photography has meant that there is less importance on using drawings and paintings as record keeping devices. 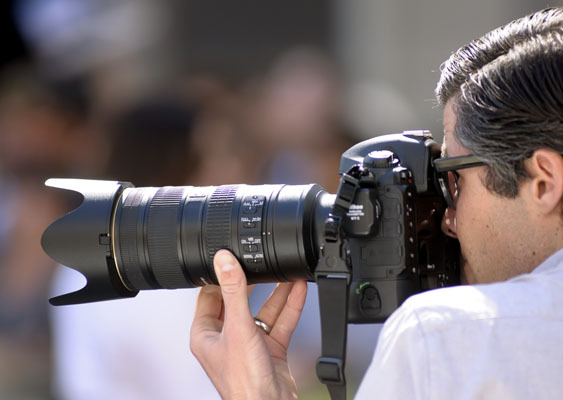 Photography and video has taken the role of capturing moments in time, peoples portraits and even tell stories with very accurate representations. So the role of painting has evolved, it is no longer the required method of capturing moments in time. This means that personal interpretation of the subject has become even more important in painting and drawing. The key point to consider is that drawing is all about the artists interpretation of the subject that they are drawing (or painting). When drawing from life we are seeing things in 3 dimensions. As an artist we need to interpret 3 dimensions into a flat 2 dimensional representation. How we interpret the 3 dimensional form of the objects is one of the ways that gives us our own unique style. When drawing from 3D life there are challenges that makes the process difficult. For example, depth and perspective is at work on every shape that we see and we need to notice and find a way of representing that perspective. Colours and light can change from one moment to the next. 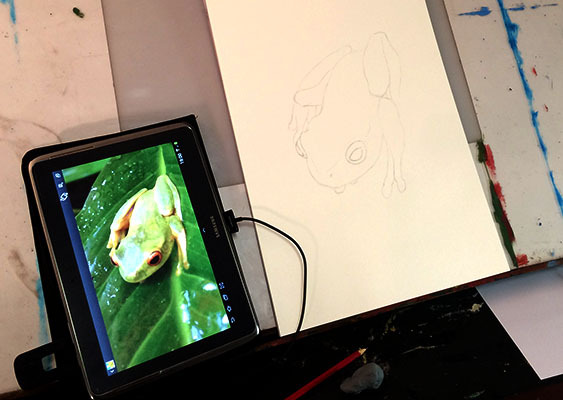 The subject may also move during the drawing process. Even small moves of the subject can sometimes make it very challenging to draw. When we copy a photo however, the image has already been flattened to a 2 dimensional representation. This takes some of the difficulty out of interpreting things like 3d space, perspective, changing lighting and the subject moving. Photos can give us an easy guide to the 2 dimensional angles of lines by comparing a line to the vertical or horizontal edge of the photo. This can make it easier to work out perspective or angles. We also don’t need to be concerned about the subject flying away or moving. We don’t need to worry about the sun moving behind a cloud and changing the light. For some people these things are great, because it takes a lot of the hard decisions out of the equation. Meanwhile artists that have already developed skills are feeling robbed that you don’t have to do all of that interpretation that they have spent years learning and training to do. There is a big difference between understanding shape and understanding the form of an object. It is somewhat of an achievement to be able to reproduce a shape as seen in a photograph. By learning to perceive the direction, length and curvature of a line, we can learn to reproduce the shapes that a photograph provides. However, interpreting the form of a 3 dimensional object into a shape takes even more skill. Understanding how a line that may be traveling towards or away from us should be represented by a 2d shape takes a lot more practice and understanding. During the process of learning to draw and while we are learning to interpret shapes, copying photos can be useful to give us a clear idea of what it should look like already flattened out. When we are focusing on reproducing shapes, photos can make the process easier to understand the shapes of objects and allow us to learn the skill of reproduction easier. We can spend time evaluating the shapes that are already in a flattened state without fear of the object moving. Copying from photos can therefore arguably be a very important part of the learning process. To advance our skills further as an artist we also need to be able to extend our powers of observation to also interpret 3 dimensional objects. Drawing from photos can limit our ability to do this. We can easily come to rely on observing shapes that are already flattened out for us, and not have any understanding of the 3 dimensions of the subject. In my opinion it is really important to start drawing from life early in your development of drawing. This kind of interpretation from 3 dimensions to 2 allows us to get a better understanding of the form of the object, which allows us to also modify or distort the objects to our advantage. When we can do that, that is where our skills an artist can really shine. In my view, the process of learning to draw is about creating a balance between copying from photos and copying from life. 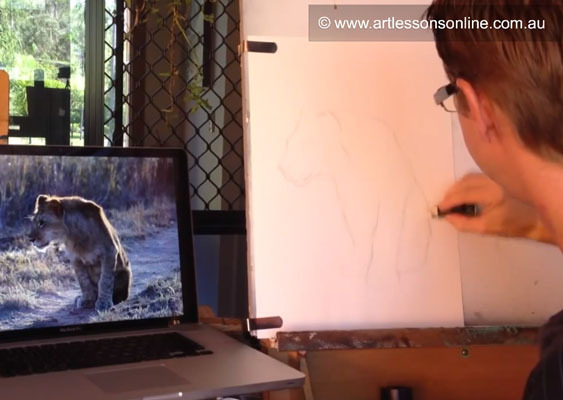 Both have their place in the learning to draw process and both are important for developing your skills. I prefer to draw from life at any opportunity that I get. Studying shapes that occur around around you gives you a deeper understanding of the object. If often find myself studying an objects shape even if I don’t have a pencil in my hand at the time, hoping that I will remember enough detail for when I get back to the studio. The kind of ‘artists view’ can prepare you for when you want to draw objects that you cant setup in front of you to copy. Often for the subjects that I draw setting up a real life scenario to work from may not be possible. Often the subject simply isn’t available to just setup in front of me and draw. In these cases using photos to gain an understanding of what the object does actually look like can help. However rather than just using the first photo that I come across I will research the subject as much as I can before drawing it to try and learn how the subject looks in 3 dimensions. I will find as many photos of the subject as I can (using my own photos whenever possible) from different directions, different poses, different lighting. From this I can get an understanding of the form of the object and how different lighting can effect that form. Then I will draw my own version of the subject from the understanding that I have gained, often referring back to various photos to get a deeper understanding as I am going. This way I am proud to have a creation that is entirely my own and can’t be considered a copy. At the time of writing this I’m at the stage in my skills where I purposely avoid copying photos for my finished pieces. Don’t get me wrong, I do use photos, but not in a way that i would consider ‘cheating’. For most purposes I don’t use photos as a direct image to copy from (with some exceptions). Before looking at photos of my subject I normally already have a very clear idea of what i want to do with the subject. Usually even the best photos will only give me a close representation, but not close enough for what I want to achieve. It is almost impossible to find photos that exactly match the image that I want to create. Also, if I did copy a photo I would feel like I am cheating myself of the opportunity to do something that a photo can’t do, such as add an impression of life/action, or even just my own personal interpretation of the subject. I am also very conscious about respecting peoples copyright. If a photo is my own then as photographer I feel that I have the right to be able to follow the photograph a lot closer than if I was using a found photo on google. For example, the photo of the lion cub that I used for the demonstration video is my own photograph from a trip to Africa in 2011. I avoid directly copying any image that is not my own. Whether you choose to copy photos or not, there a couple of very important rules to consider. Most importantly, copying other peoples photos or drawings and claiming the image as your own is a definite no no. We all need to respect the copyright of the photographer or artist that created the original. If you don’t have your own photo to use, then ensure that you are only using other peoples photos as a reference and avoid copying. 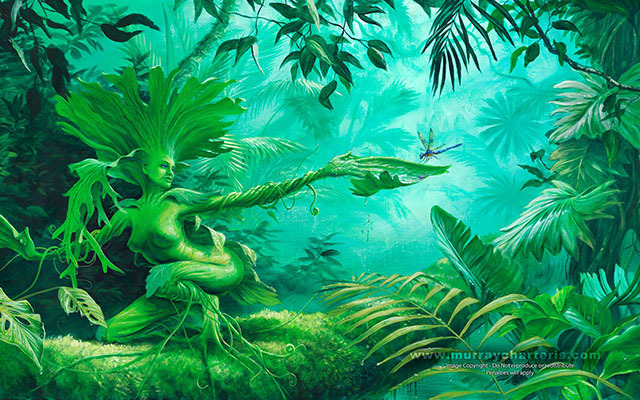 Be sure to create your own image with your own interpretation as much as possible. So that leads me to this question for you – If photos can make it easier for an artist by flattening out the image and it is regarded as cheating, then what about other drawing aids that give the artist a similar advantage? 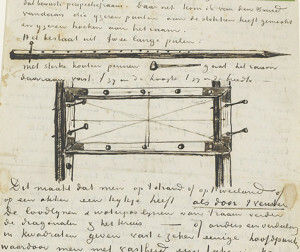 Drawing aids such as grids drawn on a sheet of glass, or perspective frames such as those used by masters such as Van Gogh have been used for centuries. These tools break down the 3d view into smaller chunks and gives the artist a reference for the directions of line. In many ways it is doing the same as a photo by flattening out the image into a 2 dimensional view. Should these tools also be regarded as cheating? I would love to hear your thoughts, tell me in the comments below if you think that drawing aids are cheating. I look forward to reading your point of view.